Blessed James Alberione was the founder of the Pauline Family – five Religious Congregations, four Institutes of Consecrated Secular Life, and a Lay Association. He was born on April 4, 1884 in San Lorenzo di Fossano, Italy, to a devoted Christian peasant family. There were three enlightenment moments in his life that influenced his destiny. The first moment he had was at a young age. Little seven years old Alberione was asked by his school teacher what he wanted to be when he got older. After a short pause and feelings as though a light has flashed within him, he answered firmly: “I shall become a priest”. Few years later, in early October of 1900, James Alberione was accepted into the seminary of his home diocese of Alba. The second moment of the Lord’s light revealed him the direction of his whole life. During a nocturnal adoration on January 1, 1901, the sixteen-year-old placed his life before God, and “a particular illumination came from the Host” (AD15); and at that moment Alberione understood Jesus’ invitation, “Come to me, all of you…” (Mt 11, 28). With this call, he sensed a clarification of his vocation to priesthood and felt a need of an organized undertaking to which others would be associated. On June 29, 1907 James Alberione was ordained a priest. In the following year he was appointed by his bishop to become the spiritual director of the diocesan minor and major seminarians and also be part of the seminary’s teaching faculty. The third moment of light happened in 1910. Midst an ongoing discernment on how and what could be done to Jesus’ call, “Come to me, all of you..,” to be heard and welcomed by others, he had an idea of “… an organization of writers, technicians, book-sellers and retailers, Catholics whom he would give direction, work and a spirit of apostolate…” (AD 23). The young priest envisioned a “society of persons who would love God with all their mind, all their strength, all their heart; persons who would offer to work for the Church, happy with the wages God pays” (AD 23-24). While in Rome on August 20, 1914, in obedience to God’s will, Father Alberione gave life to the Pauline Family by founding the Pious Society of St. Paul. Aware of the important role women in doing good for the glory of God, within one year of the foudation of the Society of St. Paul, Fr. Alberione gave life to the Congregation of the Daughters of St. Paul (1915). In 1916, he felt a need to add to both of his institutes a third order, one to include lay people, which gave life to the Association of Pauline Cooperators, a group of committed lay collaborators and benefactors to the Pauline Family. With this new addition, the Pauline continued to grow. In 1923 Father Alberione was unexpectedly struck with a serious illness, leaving doctors with little hope. After a stunningly recovery, much prayer and offerings, Father Alberione was inspired to give life to the Pious Disciples of the Divine Master (1924). As he continued to guide his sons and daughters of the Pauline Family, and while publishing many literary works, the Founder sensed the need to initiate a fourth religious institute: The Sisters of Jesus the Good Shepherd (1938). The fifth religious Congregation, the Institute of the Queen of Apostles was founded in September of 1959. Between the periods of 1958 and 1960 after a period of careful reflection, three new institutes were added to the Pauline Family: the Institute of Jesus Priest, St. Gabriel Archangel and Our Lady of the Annunciation. Later on, in 1965, Fr. Alberione founded the Institute of the Holy Family as part of the Pauline Family. Known as the “Pauline Family”, Father Alberione saw these diverse Institutes in a complimentary relation among themselves. 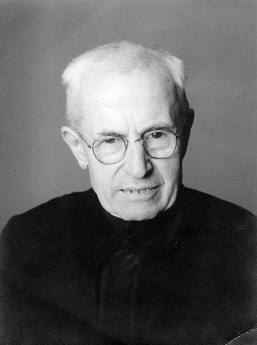 “The institutions are bound to one another in the Person of the Divine Master, all of Him, the Way and Truth and Life”. The secret of the unity and communion of the Pauline Family ought to always be the same: the Christ, at the center of everyone and everything. Throughout his 87 years of life, Father Alberione worked tirelessly to accomplish the mission given by the Heavenly Father. On November 26, 1971, few years post the completion of the Pauline Family, Father James Alberione passed away. In 1996 Pope John Paul II recognized Father Alberione with the title of Venerable and later on, on April 27, 2003, John Paul II beatified and declared him Blessed James Alberione.